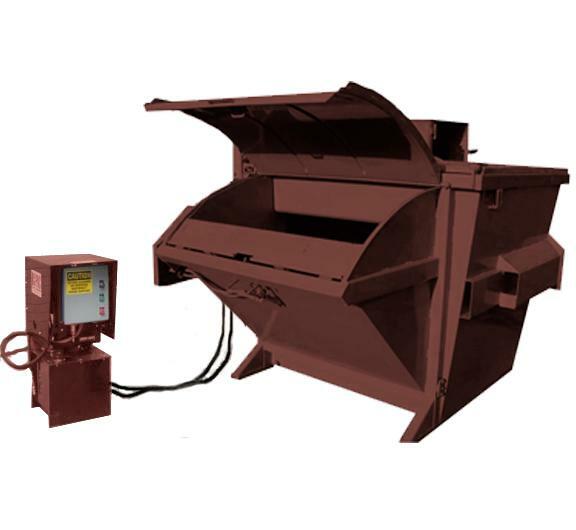 These outdoor compactors can hold roughly 25 - 30 cubic yards of trash before emptying. Trash Haulers can tip these compactors in the same way that they do their other (non-compacting) dumpsters. Waste Hauling Costs can oftentimes be reduced by up to 50% or more. 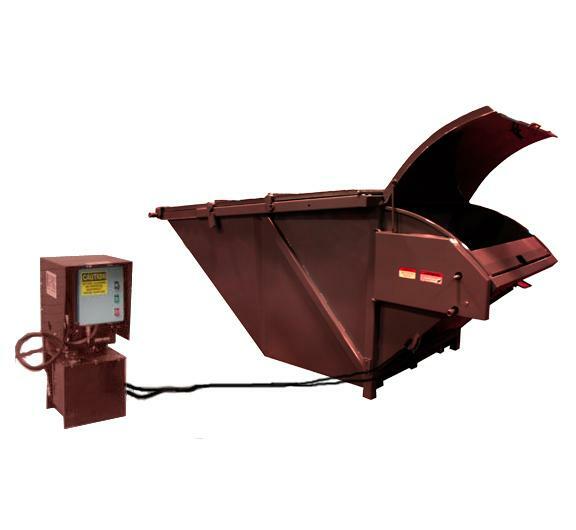 These outdoor compacting dumpsters can also help control rodent problems and overflowing dumpsters. Noteworthy Points: An example of the weight of the compacted trash when the dumpster is completely full is as follows: When completely full the compacted trash of a Fast Food Restaurant would weigh approximately 3,500 pounds or roughly 500 - 600 pounds per cubic yard of compacted waste (i.e. excluding the weight of the compactor itself). A side note is that some waste haulers might want you to think that the weight is much more in situations where there is a weight charge. Another side note is that the hydraulics on the waste hauler trucks are typically designed to lift and tip 8,000 pounds. In addition these trucks are usually over designed so that water-logged trash from rain etc is not a problem for the hydraulics. Note: Our Preliminary Considerations Checklist for Outdoor Compactors may be helpful. Overall Dimensions Length: 102" Width: 82" Height: 62"
Loading Chamber (Clear Top) Opening Length: 27.5" Width: 53.5"
Ram Face Width: 53" Height: 46"
Overall Dimensions Length: 140" Width: 82" Height: 62"